We are one year and eight months into this saga. Recently, I thought I would survey if there were additional stories regarding this saga that flew under national radar and went unnoticed in its reporting. For example, I asked if a death certificate was issued for Tamerlan Tsarnaev. One had been in May 2013. We see that Tamerlan was reported to have been born: 21-October-1986, in Elista Kalmykia, in Kyrgyzstan, Russian [Federation] to Anzor Tsarnaev & Zubiedat Suleimanova. The informant was Ruslan Tsarni [an uncle]. My great grandfather, Jan Mazur (b. 22 Oct 1894) left Żabiec for Hamburg where he boarded the ship Amerika in 1911 and then landed in NYC some time the following year. He married my great grandmother in 1916. He was said to either own or manage a bar in Massachusetts. He died on 27 May 1938, two years after naturalizing. I have not been able to find any information about his life in Poland. I was told that his mother’s name was Agneiszka (b. ~1870) but his father’s name remains a mystery. Some relatives believe she may not have been married or was widowed shortly after Jan’s birth. We believe he had at least one brother (possibly named Michael) but we have no idea if he stayed in Żabiec or if he also left at some point. Also, it’s been passed down that Agneiszka was at some point involved with a man named Wojciech Zytr. I would love to know if she found happiness with him and if there were any children. Sadly, my grandfather and his older brother have passed away and so any knowledge they had is now lost. 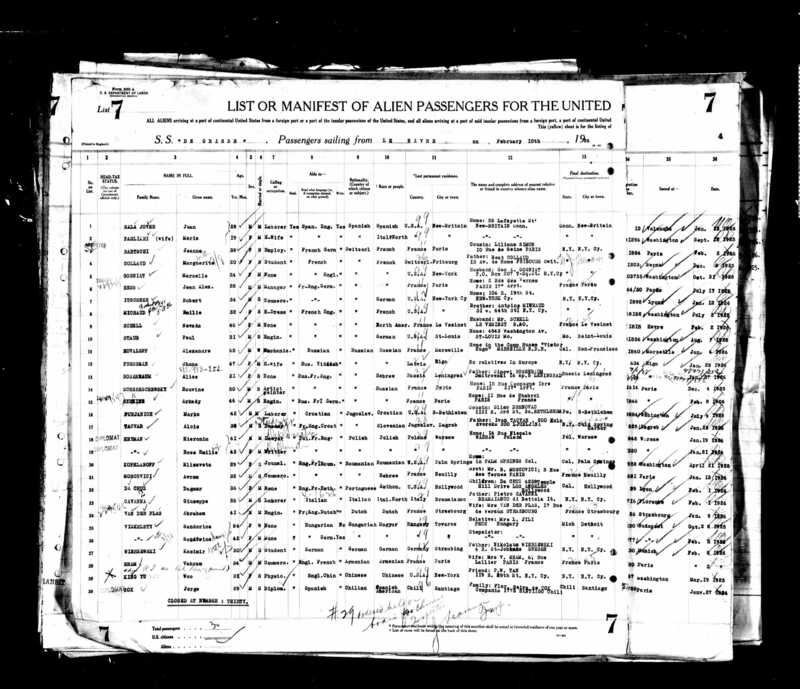 However, I’ve refused to give up hope that I will one day find out if my great grandfather was from Żabiec and if he had family that he left behind. I would love to find out where Jan got his last name from and I want to know what happened to Agneiszka as well. So, my purpose for posting this message here: Has anyone ever come across information about Mazurs in Żabiec? Or does anyone have a suggestion for where I could potentially find information about my ancestors? I would be so grateful for any response. So I went to GenBaza in order to aid her. In record 214 (upper left on image), Her great-grandfather Jan Mazur was born in Żabiec. √-Check on Żabiec being the birthplace. The birthdate is 22-November-1894. So the birthday is a very close match, the day and year match and the month is one month later than remembered (November instead of October). 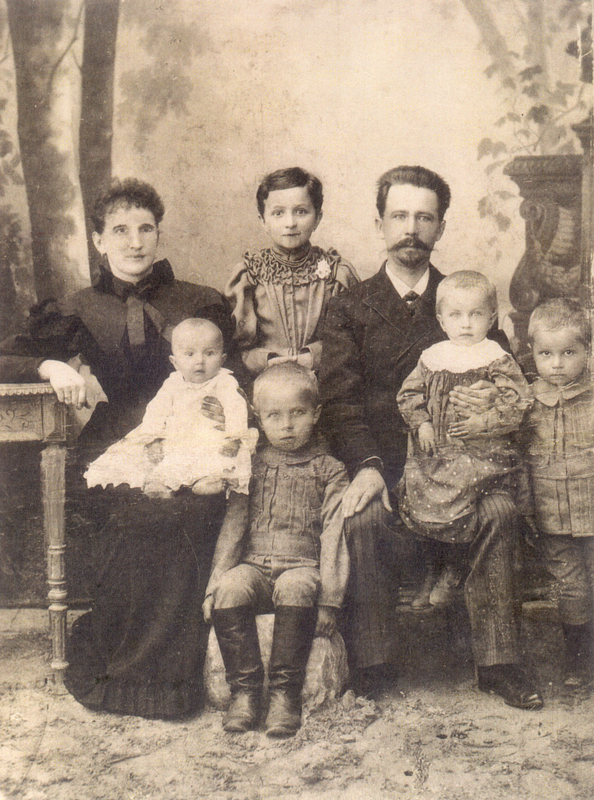 His (Jan the baby whose birth is documented in the picture above) father was Wojciech Mazur, age 30 and his mother was Agnieszka Żyła age 20 (=> a birth of about 1864). √-Check on mom’s name fitting her family tale, including the approximate birth year. The witnesses were: Jozef Duponka, age 46 and Wojciech Gurniak age 36. The God Parents were: Jozef Duponka & Marianna Gurniak. As for the mystery man named Wojciech Zytr. I propose that the man was Wojciech Mazur (the father). and that Zytr is a corruption/combination of Mazur and Zyla. Especially when you consider that the slashed-l looks a lot like a ‘t’ . then you need to be aware that the Family History Library has developed and will be teaching a class in Reading Russian Handwriting (and Printing) this November. It is a four-part class and open to all for free. Each class is two hours long. The dates are Wednesdays: November 5th, 12th, 19th, and 26th in classroom B2 starting at 2:00pm (MT). 8 Hours of free Russian Handwriting instruction. Classes will be taught by Dennis Everett . For more details, see the FamilySearch Blog . Stanczyk hopes the classes will be videotaped and posted on the Internet for those of us unable to go to Salt Lake City, UT this November . Family History Library can you make this a podcast or iTunes Class for downloading? This bit of blog is for Michelle Ann Kratts. From the METRYK project on the PTG website (genealodzy.pl). You need to know how BANAS/банас looks in Indexes so that you can find your family records. Archaic Russian Cyrillic handwriting is difficult to read. 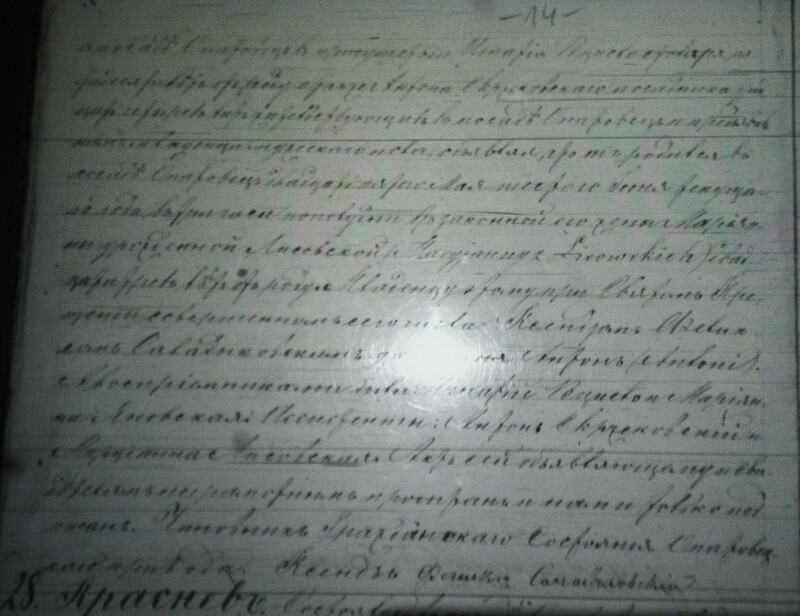 The Russians reformed the CYRLLIC character set in 1918, so they no longer write Russian like you see in these church records — so Russian Language experts may struggle a bit. I taught myself to read Russian from the Hoffman/Shea book, I am far from fluent in Russian, but I have mastered enough Russian to read genealogy records (with their limited vocabulary). You can too! I wanted to mention that you see Janem Banasiem (Latin for the Polish name Jan Banas ) following the Russian version of that name. 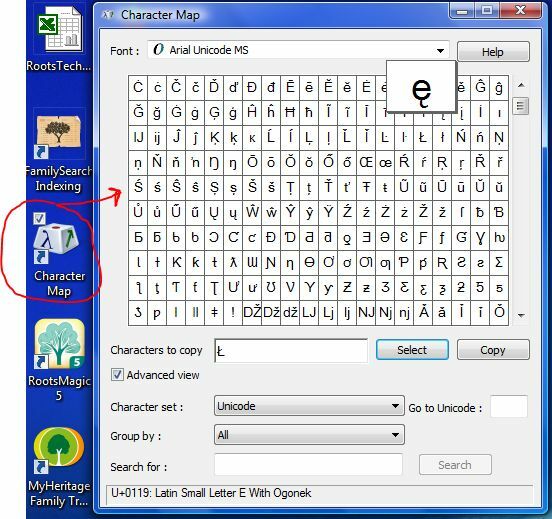 That and the ‘Maryanna Glibowna’ are the only little bits written in the Latin alphabet, the rest are written in Russian, using the CYRILLIC character set. As you may or may not know the ‘-owna’ ending on Maryanna’s name indicates she is an unmarried maiden. So her name is really Maryanna GLIB (not GLIBOWNA). The ‘owna’ ending is a grammatical construct. OWNA (single woman) – OWA (married woman) -KICH or -OW (family name plural). ELIJASZ (a man), ELIJASZOWNA (an umarried woman), ELIJASZOWA (a married woman), ELIJASZOW (the ELIJASZ family). I record the name as ELIJASZ in the family tree. Actually, my family name has evolved a bit so I find it as: ELIASZ or ELIJASZ or ELJASZ or HELIASZ . Sometimes a priest will leave off the ‘Z’. Stanczyk was in Salt Lake City, UT for RootsTech a week and a half ago. I thoroughly enjoyed the intersection of my two intellectual pursuits: technology & genealogy. I was not the only person at RootsTech who said they had a foot in each world. I think the conference planners think this is a mash-up between users & developers; And it definitely is that. But there are a large number of us tech savants, who are also avid genealogists. In an earlier article (7-Feb-2012), I wrote about an exciting find of two of my great-grandmother’s siblings marrying each other (a Major & a Paluch). Because it was not an Elijasz nor a Leszczynski record and yet I found it because of an Social Network Analysis experiment I conducted last year, I investigated that record and made an outstanding find. Today I wanted to talk about a cousin of mine from TN whose grandmother turned out to be a cousin of my grandfather. My cousin Kim showed me her grandparent’s marriage records (both civil & church) and we discovered that her great-grandmother was my great-grand-aunt. We also saw that her grandfather (Adam Gawlikowski) was from Opatowiec in the Polish Church Record (Sweetest Heart of Mary Church in Detroit). Well there were a couple of Opatowiec — so I took the opportunity of being in Salt Lake to narrow down which parish might be the correct one. I found my cousin Kim’s great-grandparent’s having children in Opatowiec (in the Kazimierz Wielka powiat, old woj. Kielce — LDS MF# 1192351 & 1807620). 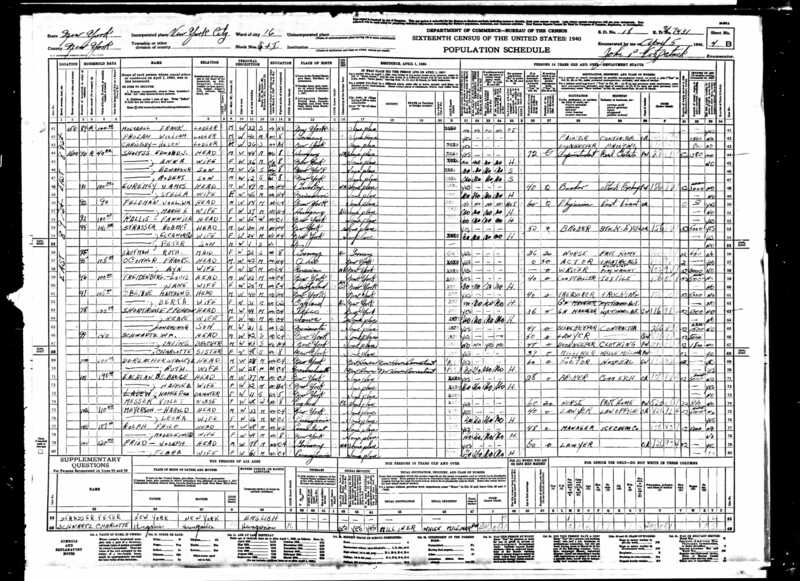 In fact, I found her great-granduncle Antoni Gawlikowski ‘s birth record with the correct parents: Martin Gawlik & Maryanna Lisowskich. In fact, if Kim is reading my blog, you should rent LDS MF # 1192350 and you may be able find your great-grandparents’ marriage record and many other Gawliks/Lisowskich, potentially all the way back to 1614 ! MF# 1192351 & 1807620 were in Russian, but I am betting that almost all of MF # 1192350 (1614-1870) will be in Latin. 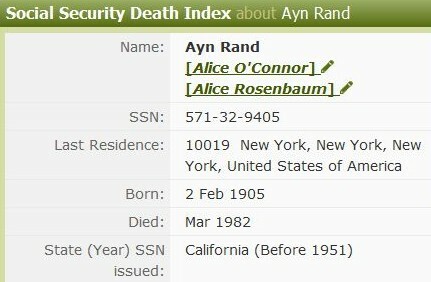 Sadly, it appears her grandfather Adam was born after the end of the last year in MF 1807620. But I did find three siblings of Adam (besides Antoni) that we did not know of before: Jan Gawlik, Ludwik Gawlik, and Maryanna Gawlik. I also saw that the Gawlik name was written without the ‘ski’ at the end. Sadly both Ludwik and Maryanna died in 1880. Perhaps Jan survived into adulthood. He may have stayed in Poland and took care of his parents. I am sorry that Antoni’s birth record fell across two pages in the church book, requiring two camera shots. Stanczyk’s blog has a blog roll that includes the talented, Donna Pointkouski’s “What’s Past is Prologue”. Her blog’s title is from Shakespeares’ play, “The Tempest”. 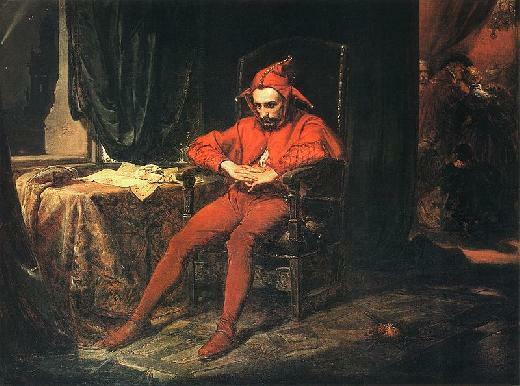 Today’s article is NOT a paean to her fine works, nor to Shakespeare really though this jester has a fondness for the bard – I know I’ve said that before. Dateline – Easter Week 1794. Poland has already been partitioned twice, the second time was just last year (1793) following the War of the Second Partition. The Empress of Russia is Ekaterina (Catherine) the Great. This Tsarina seems to have had a ‘soft spot” for the Polish diplomat and it was her seduction of Stanislaw August Poniatowski, whom she had caused to be installed as the last elected King of Poland that brought us to this day. 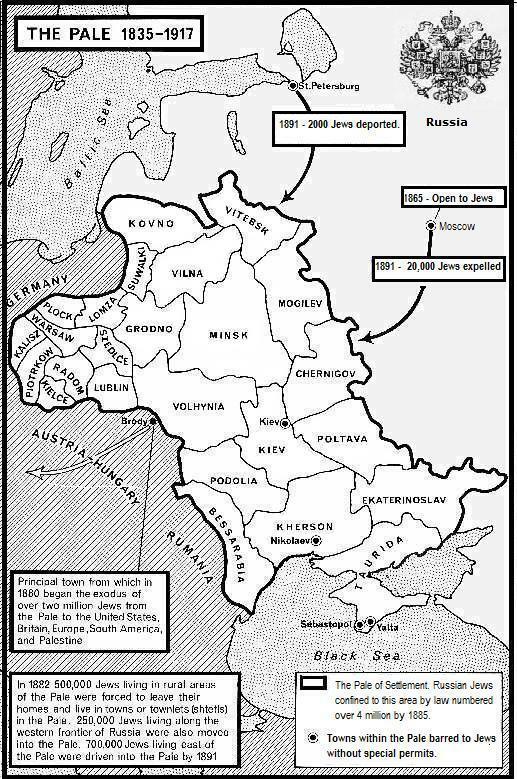 It was Poniatowski’s duplicity in trying to move Poland closer to his lover’s Russian Empire that led to the Four Year Sejm only the Empress did not want Poland to re-arm nor Poland’s help in suppressing Turkish aggressions. So the Sejm left to itself, enacted the world’s 2nd Democratic Constitution on May 3rd, 1791 which led to the War of the Second Partition and finally the 2nd partition in 1793. Violence begets violence and so we find ourselves here Easter Week 1794. Tadeusz Kosciuszko emboldened by his success in the American Revolution, leads a successful Insurrection in Krakow, where his heroic charge against the Russian General Tormasov results in the capture of the Russian cannons and defeat for the Russian General and his overly small force. This victory results in the ensuing liberation of Warsaw followed by Wilno. Thereby commencing a killing spree led by a tailor whose name (ironically in English) is Jan Kilinski and also by the Guild of Slaughterers (the fascinating occupations of our ancestors). The Russian Ambassador in Warsaw was able to flee eastward across the Vistula bridges just ahead of the Insurrection. Kossakowski was caught and hanged under the rather literate inscription, “He who swings will not drown.”  . Now compare that quote to Shakespeare’s text in “The Tempest”, published in the 1st Folio in 1623 (performed prior to that publishing in 1610/1611). Near the end of Act I, Scene I Gonzalo says, “He’ll be hanged yet, though every drop of water swear against it …” . That scene also contained more dialog about the loathsome boatswain being hanged rather than drowning. Now we have arrived at the point of Stanczyk’s thesis. That Poland’s rebels were literate and familiar with Shakespeare’s Tempest. They cleverly used this paraphrase in proper context and it was directed at Poniatowski and of course the hangings left no doubt what would happen to other Russian sympathizers when caught. How do I come to suppose such a thing? Poniatowski, despite his flaws was linguistically talented and mastered many languages, including English due to his mentorship in Russia by the British Ambassador, Sir Charles Hanbury-Williams, who was responsible for introducing Poniatowski to the Russian Empress. Poniatowski was so enamored of the bard he erected a statue at Lazienki Palace of Shakespeare ! Poniatowski’s brother, Michal Poniatowski (a Polish Primate) committed suicide rather than meet his fate at the hands of the Insurrection Council. So the Primate knew more certainly than most what Kossakowski’s hanging meant to all Russian sympathizers. The Insurrection was short lived and was put down by the Catherine the Great and her Russian Generals. This historical story is what led to the third Partition of Poland. However, it appears 171 years was ample time for the 1st Folio to be transported to Poland, translated to Polish and understood and used in appropriate context during a rebellion. So Stanczyk lays the events of Easter Week 1794 squarely at the foot of Stanislaw August Poniatowski, including the rebels literate scholarship, and the resulting third Partition of Poland which made Poland’s borders (not her people or her culture) disappear for 123 years (1795-1918). Poniatowski had to abdicate in 1795 (at the 3rd Partition) and he died 3 years later … in St Petersburg, Russia. I’ll have you know that today’s article was inspired by my wife, Tereza. She is reading the above named book by Robert K. Massie and because she knows my interest in and knowledge of matters about Poland and our shared Slavic genealogies, we have had many wonderfully animated conversations about this book she is reading. It was nice for her to hear another viewpoint and for me to be further informed by Massie’s scholarly work. We both recommend the book to biography/history readers. My wife reads the book as Catherine, and Stanczyk pretends he is Potemkin !!! That is my meme for today. Norman Davies, “God’s Playground”, Volume 1, 2005 Revised Edition, pages 406, 407. Editor, G. Blakemore Evans, “The Riverside Shakespeare”, page 56. Edited by Cross & Brooke, “Yale Shakespeare, Complete Works”, 2005 Edition, page 1407. Robert K. Massie, “Catherine The Great: Portrait Of A Woman”, 2011 1st Edition, page 175. 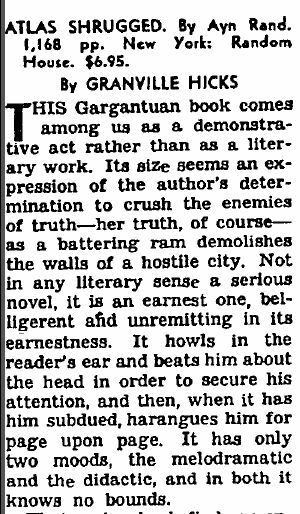 Czeslaw Milosz, “The History of Polish Literature”, page 169. Stanczyk is always seeking out high quality resources that provide context for understanding and/or to provide ideas for new avenues of research. One of the great resources since about 1985, has been Avotaynu. 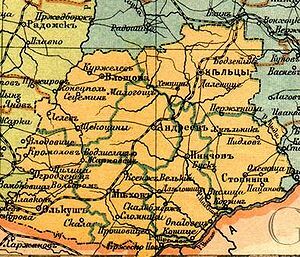 Besides their journal of the same name which is the largest circulation magazine of Jewish Genealogy, they also publish many reference books for Eastern Europe that are of aid Jewish and Non-Jewish researchers alike.